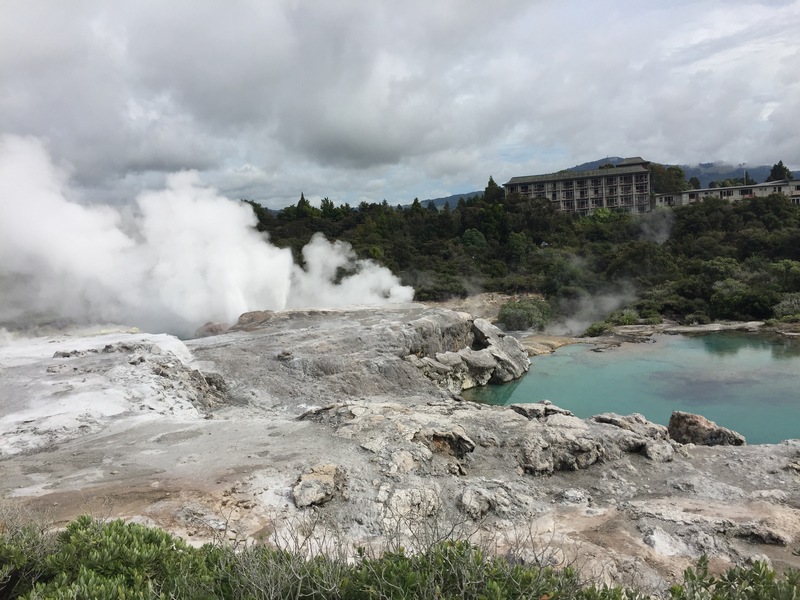 After much deliberation, we decided to catch the next bus out of Rotorua and down to Taupo, a beautiful town with a Great Lake at its centre. 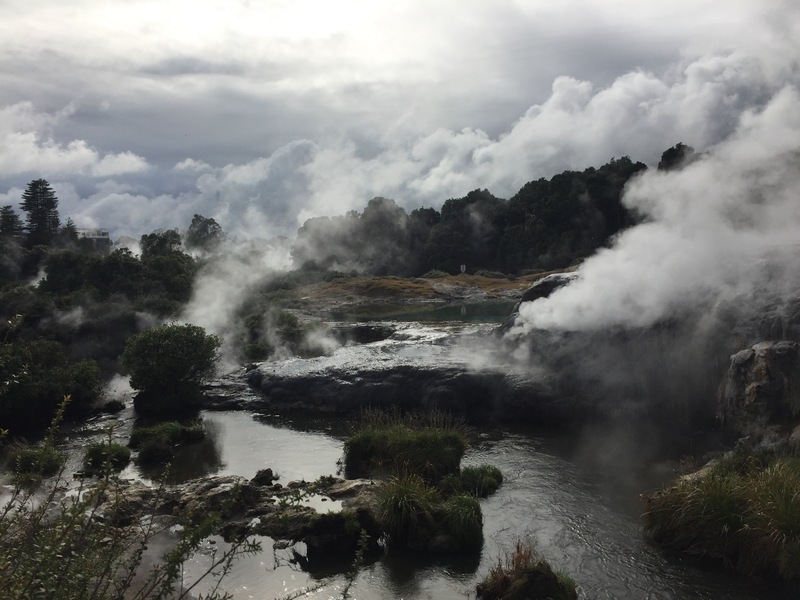 Our first stop enroute however was Te Puia, for a Geo Thermal tour around some of their main natural pools. 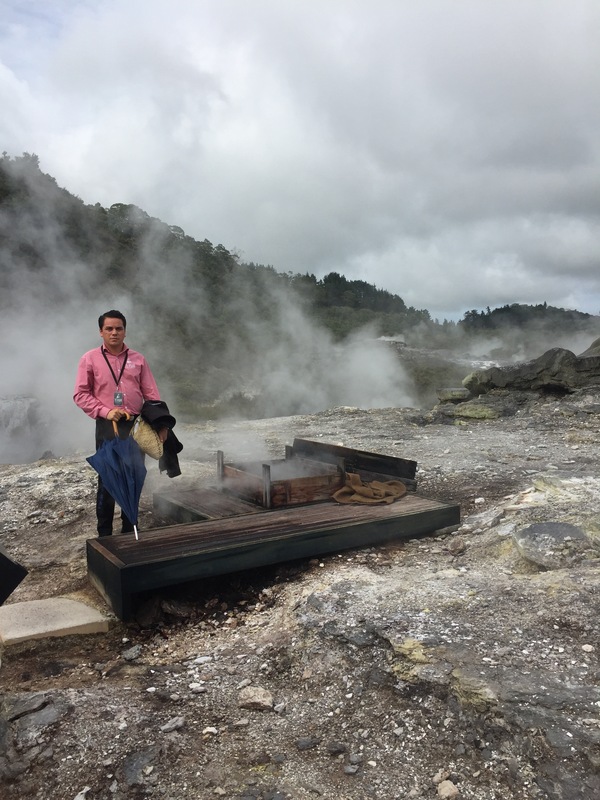 We were met by Cruise, our tour guide who took us around the various bubbling mud pools and exploding geysers and told us about how the local children happily play around the boiling water. We even watched him boil eggs and cook his pasta lunch in one of the hot pools, which are used as steamers by the locals even now! We also got to finally see a real life Kiwi, albeit in captivity. Te Puia has two Kiwi birds and it was great to see one up close. They were a lot bigger than I thought they would be! Kiwi birds are endangered species now and are fiercely protected in New Zealand, they are also nocturnal which makes it very difficult to spot them in the wild. 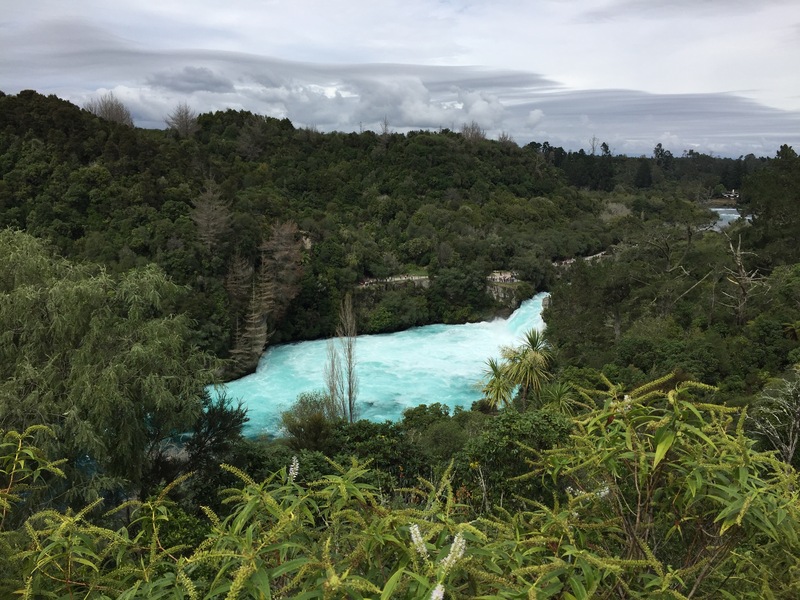 Once we had finished at Te Puia, we headed into Taupo making a quick stop at the famous Huka Falls. 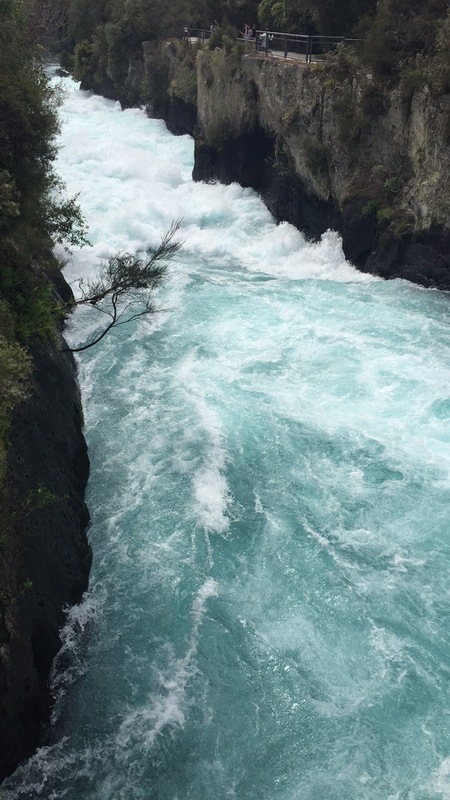 I have never seen such fierce rapids! Once we got to Taupo, we had dinner and tried to get an early night. 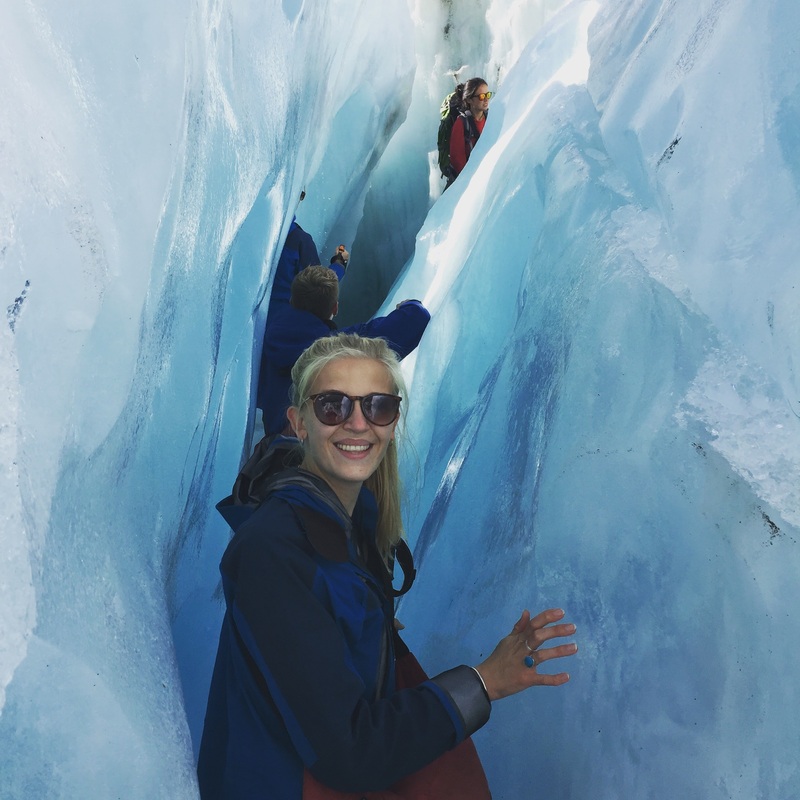 The next day we were undertaking the Tongariro Crossing, a 22km mountainous hike around volcanos and craters!